Retirement Income Planner: build a website for income! This website is my personal Retirement Income Planner. I earn an income online, as I network with other retirees and have fun! In my mind, Retirement Income and Websites go hand in hand. SBI websites are the perfect accompaniment to retirement plans! I'm very serious here... I intend to make this retirement website a second income when I retire. Extra retirement income is always needed in your retirement years. How do you ever know when enough is enough? We don't know what our retirement future holds. WHY Retirement and info-sharing? Because we've GOT a lifetime of information, adventures, and experiences stored up already! We also need to keep mentally alert, keep that brain in thinking mode... and this is my solution! SBI has oodles of ways to guide yourself through the process... I'm not alone on the web. They provide a written Action Guide, video Action Guides, and the best SBI forums where you can post any question/problem and an SBI user will help you. This is the most sharing and caring group I've ever encountered online... they really do help you. SBI (Site-Build-It) can truly change your life! I honestly and truly believe this... thats why I'm adding this page to my website. I owe oodles to SBI and the masterminds like Dr. Ken Evoy (SBI owner) and his team behind this comprehensive website building system. As a Retirement Manager at work, I've attended Retirement commission meetings for 25 years. The retirement trustees use “due diligence” when they review retirement plan assets. As a website owner, I feel I've done my own “due diligence” with SBI... and I can most wholeheartedly recommend it to any retiree who needs an income... I totally trust SBI and the process. Now, those visitors didn't come for only my self-written 480 pages. They also visited the 1600+ pages written by retirees, for retirees! My visitors contributed their stories to my site, other retiree visitors commented on the stories... which adds to all the site traffic and pages read! That's another huge plus to using SBI, you can engage your visitors and become a community. SBI has an Action Guide that leads you, step by step, through the website building process: from selecting a topic to making an income. There are Action Guide videos that will take you through each step. You can review the screen shots to guide you through the software. If you read and work the Action Guide, you are almost guaranteed to succeed. They help you with every single aspect of your website. One huge benefit for you, with SBI, is that nothing is left to chance. The Action Guide is logical, methodical, and tried 'n true. Back to the SBI Action Guide - It's positively addicting! The Action Guide is like a college education on website building (and I'm not kidding either). It's simple to read and understand but gives you a ton of information so you understand what you need to do and why. (Personally, I need to know the WHY so I understand, not just Do). This is not a "get rich quick" scheme. If you are seeking a quick easy income, this is not the way to go. This is a real electronic business, only serious retirees need apply. It IS work, but for ME it's also "play" as I love every bit I do... it's ALL ME, ALL MINE! When you consider website topics, consider ideas that excite you. Think about hobbies, knowledge from previous employment, something you loved from childhood but never had time to pursue. This page from the SBI website shows how OODLES of sites, from a variety of niches, all rank in the top 1% in Alexa... I love to review it simply to see the huge variety of topics SBIers have written about! Pretty amazing! You need a real passion and interest on your website niche topic. The Action Guide will help you choose a niche too. Pick your niche well.... it will carry you for years! You write using specific keywords you've already researched. Keyword terms that folks use in search engines, but that aren't overused in other websites already... see how smart this is? You are helping people find the information they need, and yet, you aren't wasting time if your keyword has been way overused already. SBI makes this really simple. You log on, open a “new page”, add text for the website page name, keywords, description, and headline... then you simply cut and paste from your text program into the text window. You've just made your first website page! Do you want to add a headline? Drag a “headline” block over and type in the headline. Ready to add text? Select “text” and cut/paste the full article into the text box. Want a photo or graphic on the page? Select “image”, then upload. There is no coding, it's all behind the scenes making it so darn easy for the website owner. If you select a good topic (and you will with the help of SBI keywords)... you'll know how many folks search for your keyword, write a good page about it, and visitors will find you. SBI automatically submits your pages to Google, Yahoo, Bing, etc and when they get you listed, visitors will find your website just waiting for whatever they seek. Build an interesting website, and visitors will come... by the thousands! Google Adsense or Amazon links are just a simple cut and paste into your page. When a visitor clicks, you earn an income. Affiliates... simply lots of companies will pay you to advertise their products. This is an education in itself.. so I'll leave this alone. As with any other SBI website process, the Action Guide will take you, step by step, through the process. Many functions are completely automated, and some tools work for you in the background even when you aren't aware of them! That's why I love SBI! We can't sit at home in a rocking chair like previous generations of retirees might have done. Today, retirees are more active - physically and mentally. We need to find purpose in retirement, to be challenged daily, to find connections to the outside world - and a website will do all of that and a whole lot more! ORDER and TRY IT TODAY, RISK FREE! Just click the image above or the link here... and read more! 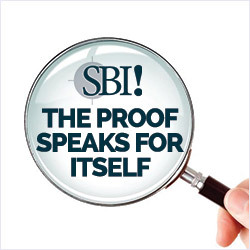 You'll see the SBI Guarantee on the page. You won't regret it... and I'm here to hold your hand with thousands of SBIers on the forums too! If you have any questions at all, ask the Solo Build It Question Guys! They know Solo Build It inside and out and if you are curious about anything, or whether it will fit your idea... call them for answers! If you have questions, like always, just hit the Contact Wendy button, under the About Me, top navigation bar!! P.S. Solo Build It Help: Site Sell Services - for the Do It For Me types!